The fastest, most powerful TVR ever produced. A road-going race car which also stared in the Gran Turismo series of computer games. 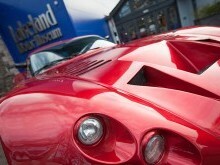 TVR was well known for wowing the motor show crowds and project 7/12 appeared as a concept at the 1996 Birmingham show. This was developed to become the Cerbera Speed 12 using two Cerbera cylinder blocks and heads on a V12 crankcase – allowing up to 1000Hp! The owner intends to run the car every few months – so instead of being in date order it’s positioned next to the door to allow easier access. 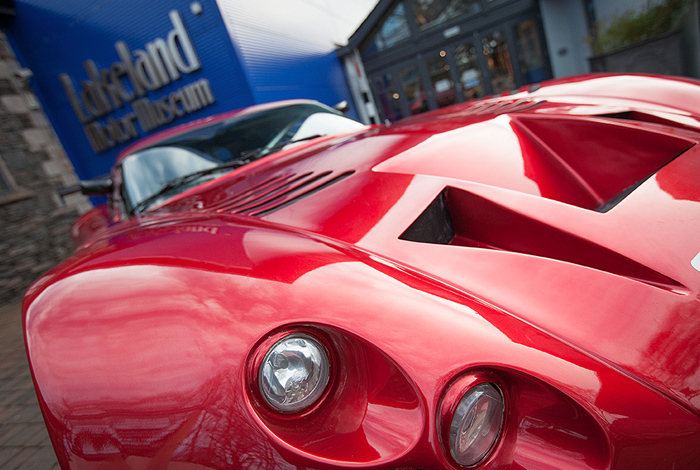 Founded in Blackpool in 1947 as Trevcar motors, Trevor Wilkinson built his first car in 1949, giving it the name TVR by shortening his first name. The company went through various phases of boom and bust under different ownership, but the final car left Blackpool in 2006 – though there are plans to re-start the Phoenix-like company once more. 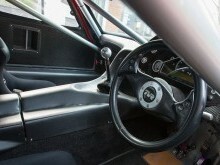 Project 7/12 was first shown to the public in 1996 at the Birmingham Motorshow. The engine – a 7.7 litre V12 – hence the 7/12 name - was based around two of TVR’s 6 cylinder engines around a common crankcase. Power output has never been fully tested – the engine broke the dynamometer when tested – but in present tune the car is producing about 850bhp. Project 7/12 was featured in the Gran Turismo series of computer games, in a purple colour with black ‘cat’s eye’ headlamps. 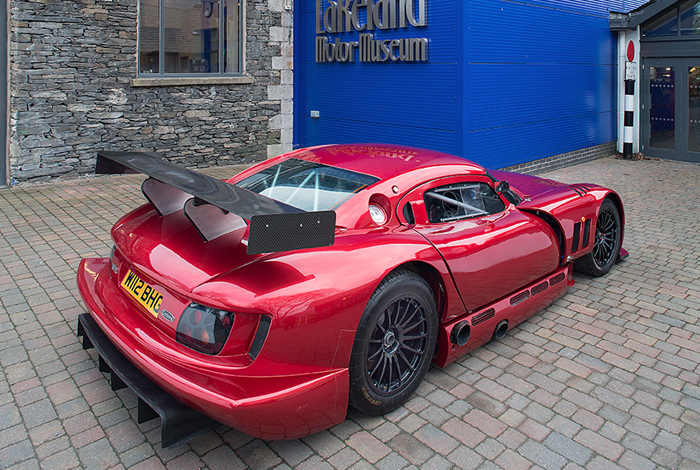 The Cerbera Speed 12 was developed to race in the FIA GT1 series – where the engine was limited to 660bhp, however soon after its launch the GT1 class’ rules were changed and the GT1 class was dropped from other championships meaning the car had fewer race opportunities. 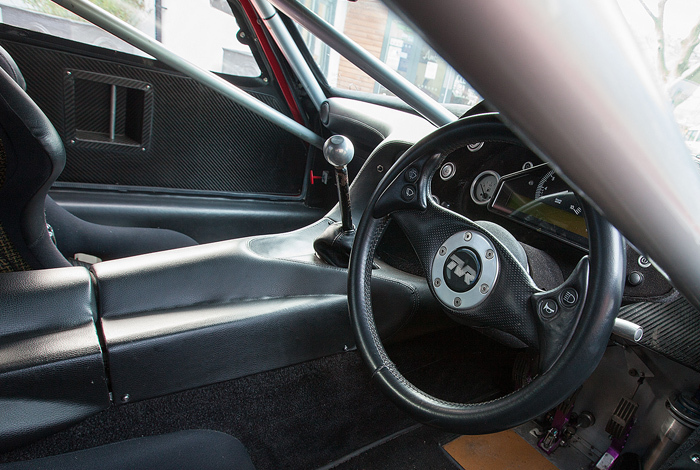 After some success in the British GT Championship it was decided to sell what was now called the Speed 12 to the public at £188,000. However when TVR’s owner at the time tried to drive an example on the road he declared it simply too powerful and plans for a road car were dropped. By 2003 the various prototypes had been stripped of many parts for the race car, but one shell was rebuilt and offered as a road car – as shown here. It has been lifted 50mm from its usual ride height to allow easier access on and off its trailer and in to the Museum. As Project 7/12 was developed to become the Cerbera Speed 12 later version of the computer game show the updated road going bodywork. This car has a set of road going bodywork without the air intakes and vents and without the rear wing, and chin spoiler, however it tends to over heat and the lack of down force provided by the road going body work makes it far more dangerous to drive.